This new series explores the idea of viewing a landscape or exterior scene through a screen, as one often does in warm locations with bright sunlight. It relates to the Villa Carlotta series in which previous layers of the image are partly covered over, and to some of the abstract landscapes where a sort of "pointillist" technique is used. 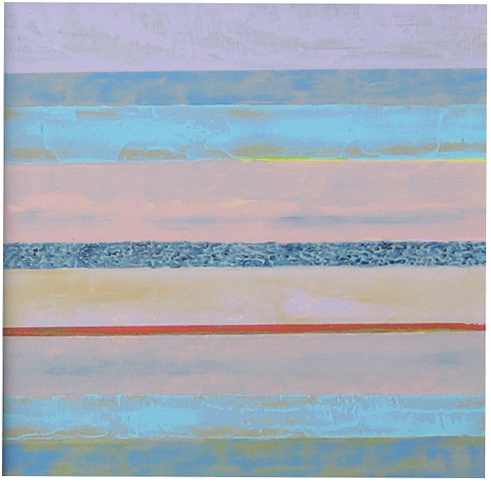 These works are mainly smaller-scale and are painted on board using deliberately vibrant colour combinations.